Providence is soaring into another enthusiastic season of Gallery Night, and this is a really big affair! When the doors open (5pm, closing at 9ish), the trekking, touring and mingling of art all come to life. What’s all the hype? Well, there is no better time to tour the city and treat yourself to an entire night dedicated to the arts. There is an abundance of galleries, studios and museums that welcome anyone who has even an inkling of art enthusiasm. It’s a great time to chat, learn, listen, possibly purchase and join in the fun the evening has to offer. There are many ways to experience Gallery Night. Walk, bike, drive or sign up for a bus tour. There are several parking lots situated in and near the city and very conveniently located near Downcity. Gallery Night booklets are readily available throughout local shops and restaurants (wherever you might find Motif, plus in many participating galleries) that include street maps, directions, lists of artists and other arty information. Walk: Providence is definitely a walking-friendly city. Park free in one of the many designated lots, pick a section or two and plan your night as there are many galleries within walking distance. Bike: Go green! Bike tours will be available this summer, but until then you can bike to Regency Plaza and join a tour. Or contact Sol Chariots (401-400-1765) and let someone else pedal for you. It’s still green. Drive: Drive into the city with local galleries nearby, with a sure bet you can get to a couple of venues during the night. Tour Bus: Located at the Regency Plaza, the times are flexible, with tours beginning at 5:30pm and running every 20 minutes; the last bus leaves at 7pm. Select from celebrity- or collector-guided tours. Each tour runs about 2 hours and visits four to five galleries. The celebrity guided tours allow you to mingle with folks who have art fever. For May, Julie Brayton (a RI contemporary painter), Robert Dilworth (artist and African-American art history professor) and Walter Harper (scholar of African-American 19th and 20th century artifacts and literature, fine art photography and literature) will be in attendance. Learn firsthand from their depth of art knowledge and share in the fun; even Mayor Elorza once shared his knowledge about Providence art on a celebrity tour. During a collectors tour, you mingle with individuals who collect art. They tell their stories of meeting artists and give details of different mediums, adventures and additions to their own collections. That alone can make the evening unique and memorable. Each tour covers different aspects of art and each guide is well versed on the city and happy to share and answer your questions about different aspects of art, artists and sightings. It’s fabulous! The Peaceable Kingdom (pkgifts.com), located at 116 Ives Street, will exhibit a collection of African wooden stools. Uniquely carved from a single piece of wood, these pieces are available for purchase. Music by Tibetan singers will entertain visitors. The family owned and operated shop loves Gallery Night and has been contributing for many years. To the Ritchie family, it’s like a mini party with a range of diverse guests of all age groups who keep coming back to explore their world-traveled treasures. They love educating visitors walking through their door and appeal to a wide range of aficionados. Stop in and enjoy some international flair and excitement while grabbing a beverage and staying for hors d’oeuvres. Painter Anthony Tomsaselli (anthonytomaselli.com) will be at his Fleur-de-lys Studio at 7 Thomas Street exhibiting his works. He has been involved in Gallery Night for over 10 years and loves it! With people from all over the world walking into his studio, he never knows who he’ll encounter. 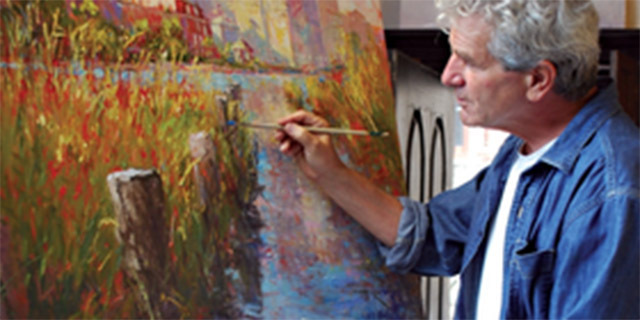 As a native Rhode Islander, his work is known to many local establishments and his style, as he reflects on his work, is “expressive realism with a tad of impressionism.” Well said. His paintings reflect mood, weather and the feelings of the person viewing his work. His passion for the arts runs deep and he notes that there is so much percolating out there and he enjoys it when local artists come together and make it accessible. Providence is a city of art and we like to show it off. A one-time tour stop for May is DeSano Studio (desanostudio.blogspot.com) located at 9 Thomas Street. 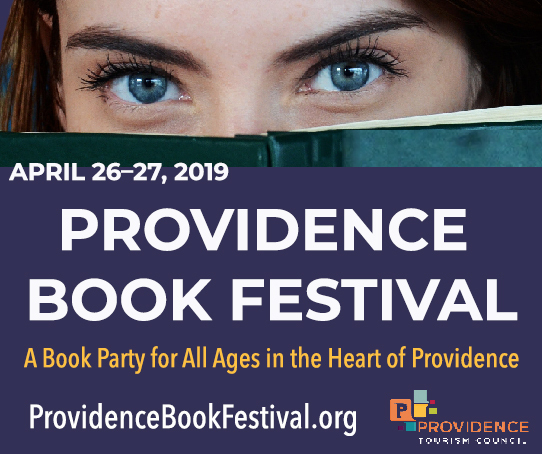 Enjoy a night of family-friendly galleries in Providence and experience the music and an array of art featuring the works of dozens of local artists. Other Gallery Nights take place in Newport, Bristol, and somewhere else.